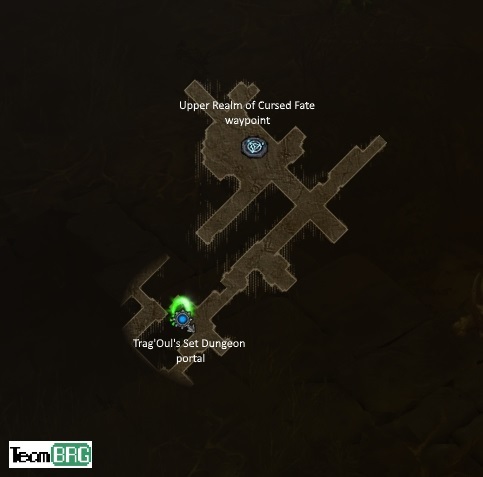 Diablo 3 Season 12 | 2.6.1 Trag'Oul's Avatar Set Dungeon: info on Build, Map and Tips to clear and MASTER the Trag'Oul's set dungeon! Hey guys! 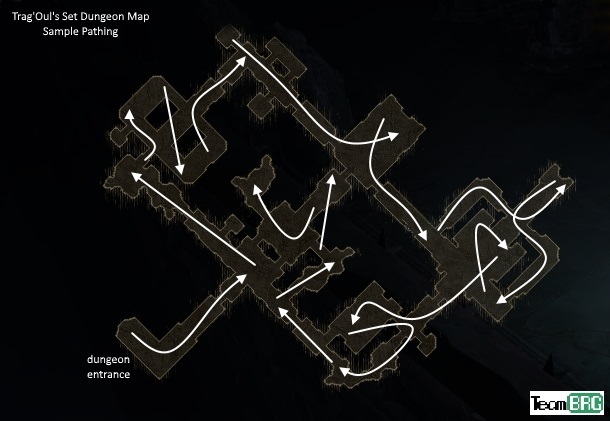 Welcome to our Necromancer’s Trag’Oul’s Avatar Set Dungeon Guide. Here we will talk about what build to use, skills, items, notes, map and more! Ran this set dungeon with just the set and pure rare items. Nothing in kanai’s cube and no paragon. Just be mindful of your life. Devour devour devour. Bone Armor or Leech when there’s a chunky amount of enemies around you, if needed. Where’s Trag’Oul’s Avatar Set Dungeon? It’s located in Act IV Upper Realm of Cursed Fate. The Trag’Oul’s Avatar Set Dungeon Map / Layout? The build above is more than enough for us to brainlessly complete the objectives. Death Nova those chumps then Devour their corpses. Corpse Lance for those titan looking elites. No more corpse for the elite? Blood Rush once to leave one corpse and use that Lance to tag the elite. Repeat if needed. If you’re careful enough, only 3 skills are needed to complete this dungeon: Death Nova, Devour, and Corpse Lance. Objective: Spend 1,000% of your life on abilities. Zero effort is needed on this one. If for some reason you feel like you will come up short, simply stand around and spam abilities before you kill the last enemy. I struggle to think you can ever clear this dungeon with a proper build without clearing this objective passively. Objective: Heal 1,0000% of your life with abilities. This one isn’t hard, you just need some specific skills and tricks to absolutely ENSURE it. As such, many of our skills and passives help with this. Dark Reaping – You get 2% of your life for each kill and with that alone completes a huge chunk for you. Devour + Requiem combo team will give you a lot of healing! Bone Armor gives 1%? Each enemy! Value. Trag’Oul’s Set Dungeon – Mastery: You should be able to complete both objectives like halfway through the dungeon. Again, the only thing you should look out for is your Life. This should be doable with just the set, the build above and with no supporting legendaries necessary. Check our our D3 Guide Directory for any Necro and other D3 classes guides. Want to know more how you can help our site? Check out Patreon for info.